As news continues to be delivered at an ever-increasing pace, it’s only natural for multimedia journalists to put down those heavy, complicated DSLRs and pick up their mobile phones to shoot, edit and deliver breaking news. Journalist Rajneesh Bhandari feels the same. In an article for IJNet, “Top apps for journalists shooting video on mobile”, he states, “[Mobile phones] are handy and you don’t have to carry a lot of things…just a mobile, a light tripod and maybe a pin [lavalier] mic.” The article goes on to list some popular mobile apps for the journalist “on the go”. Among the things leading this charge is the advent of the mobile app. From CNN to your local newspaper, more and more people are getting the information they need by accessing their favorite apps. If you’re a young journalist who believes that you have an idea for the next generation of mobile apps, Dr. Michelle Ferrier of the Scripps College of Communication at Ohio University is looking for you. Dr. Ferrier is part of a group that is beta-testing a two-week mobile innovation module. The module will teach students about mobile app development in course curricula. Through a broad overview of the mobile market, students will learn mobile app development, audience research, user interface design, and using prototyping among other topics. The module will also benefit professors by coaching them on how to teach mobile development to their students. “My philosophy is that if schools are going to offer the “just in time” learning that students need, we need some flexibility in our curriculum in order to be able to do that,” Dr. Ferrier says. The module will demonstrate some of the things that students need to know about mobile development in two weeks in hopes of becoming a fixture in full semester courses later on. The module also supports the Scripps College of Communication Innovation Challenge, a student pitch competition around media industry issues. Students will have the basic knowledge to develop a mobile app as a potential solution to the challenges with the chance to win prize money or a grade in a class. Currently, Scripps College of Communication is looking for external reviewers for the module to get more feedback and eventually offer the module in multiple schools. My dead friend Christopher Nelson has *finally* abandoned his beloved (but aged) Blackberry, and he’s feeling a bit overwhelmed with what apps to get. I last did this column when former NABJ President Greg Lee got his new iPhone, so it’s time for an update. Enjoy! iPhone Secrets Pro. Shell out the 99 cents for this app that keeps giving all kinds of great tips and trick that Apple will never tell you about iPhone. And bonus — the app offers new content and tips every week. It’s the gift that keeps giving! Flipbook (and the companion Pocket). As a newshound, these have made the front page of my iPhone. Flipboard is my way of keeping up with my favorite blogs and news sites in a gorgeous and easy-to-use magazine format. You can email, and post links on Facebook and Twitter. With Pocket, you can save stories to read offline later. HootSuite. Because I know how Christopher loves the Twitter, I recommend this app to handle it. I like it because I can use it on my iPhone, iPad or Mac because it’s web-based. I can handle all my Twitter accounts, shorten links and schedule tweets, all from this app. I use Echofone as my back-up Twitter app. Apps Gone Free. 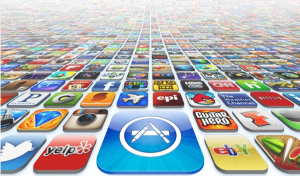 Every day, this app offers 6 to 14 paid apps for free. Warning-you will see a lot of crap (games, to-do/productivity lists, etc. ), but every now and then you’ll get a great paid app that will make it worth it. iPrompt Pro. Since Christopher is in broadcast television, he might find this teleprompter app very useful. I also use it for speeches and presentations. Recordium. This iPhone/iPad universal app is a great audio recorder and editor in one. It offers different recording quality, the ability to highlight important parts of a recording, and uploading via Dropbox or over WiFi. It costs $1.99, but I got it free on Apps Gone Free. Hourly News. Again, I tap my inner news junkie by listening to this great radio app. Listen to updated news summaries from NPR, BBC, CBC, FOX, ABC, CBS, the Wall Street Journal, Voice of America, ESPN, and Deutche Welle to name a few. It costs 99 cents, but I got it free on Apps Gone Free. Urbanspoon. Christopher lives in one of the great food destinations on the planet, so I advise him to put this great restaurant finder on his iPhone. Clear Watermark. Let’s say you’re out on assignment and you snap some amazing photos and want to let folks know they’re yours. You can mark your pictures with this app. It costs $1.99, but I got it free on Apps Gone Free. Genius Scan. You’re out on assignment. You need to get copies of some documents, but there’s no copier around. Use this free app to snap pictures of pages and turn them into PDF files. In the free version the files can be transmitted via WiFi or uploaded to iBooks. In the paid version of Genius Scan+ ($2.99), transfer files via Box, Dropbox, Evernote, Expensify, Google Drive and SkyDrive. Regular readers know that I am a HUGE fan of my iPhone as a great tool to do my job as a journalist. But some of the same tools I love to do my work will also help make the upcoming National Association of Black Journalists Annual Convention and Career Fair a better experience. So below, in no particular order, are 10 apps to make your convention experience even better. Hoot Suite: with this free Twitter app, not only can I keep track of my six Twitter accounts, I can also create columns to follow the #NABJ13 and #NABJ hashtags, along with key people like @NABJprez2011. Soundnote: I’ll be using this iPad app to document convention workshops. This app records what you’re typing on your iPad. As you play back the recording, you can tap a word, and SoundNote will jump right to that point in the audio. I pair my iPad with the Brydge keyboard, which allows me to leave the MacBook Pro at home. Flipboard: this app is my go-to when keeping up with my favorite news publications and blogs. You create a personal magazine on your topics of interest (mine are hard news, travel/aviation, journalism and technology) and share them via Facebook, Twitter and email. And if you want to read an article later, save it on the Pocket app. CamCard ($6.99): every year I collect a huge stack of business cards and only input a fraction of them on Microsoft Outlook. I hate paying for apps, but this one was worth the money. I can take a picture of a card and the information is automatically updated in my NABJ contacts group. Plus it’s environmentally friendly. ABMW President Troy Johnson also told me about CardFlick, a free app that allows you to share business card information, and DJTF Secretary Kiratiana Freelon swears by Card Munch, which pairs with LinkedIn. Dragon Diction: this handy app allows me to post directly to my Facebook or Twitter accounts just by speaking. And because so much is going on, I can also use it to send myself reminders and updates. Evernote: this is the best tool that you’re not using. You can use one account on your laptop, iPad and iPhone to create notebooks that allow you to take notes or drag in text, save web video and audio clips and even email notes into the program. With tags, you can organize all of your notebooks. Here’s a great Lifehacker article that shows jut why this should be in your apps arsenal. Concur: If you’re going on your company’s dime and it uses Concur, this app is golden. It allows you to keep track of expenses on the run. And after the convention, there’s no huge pile of receipts to track. Nice! If you don’t use Concur, click here for other suggestions. Urbanspoon: Orlando is an up-and-rising city for food. Use this free app to find restaurants in the city, complete with menus, comments, directions and contact information. It also breaks down restaurants by cuisine and price.For my sushi lovers, I’m a big fan of iSushi. Ustream: this app allows me to shoot live video from my iPhone. I can also upload the video to my YouTube channel. I’ve also been playing with Tout, which allows users to shoot their own 15-second videos and post them to their Facebook, Twitter, email contacts, or even text. GroupMe: this group text messaging app is a great way to keep in touch with a group of friends at the convention. So, what did I miss? 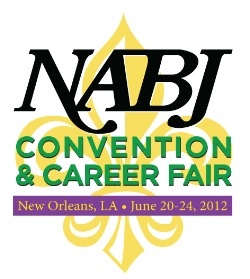 What apps would you suggest for NABJ? So I’m checking out the @NABJDigital Twitter account and I see that NABJ President Greg Lee has announced that he just got a new iPhone. 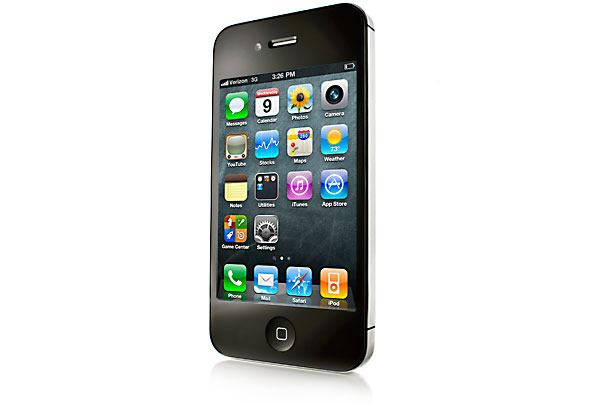 I’m an iPhone user (Santa bought me an iPhone 5) and regularly test and review iPhone apps. So below, for my president, and the rest of you, are my picks. AppStart for iPhone (free) – one of my geek tech friends told me about this app when I got my iPad last Christmas, and they have now released an iPhone version. It offers dozens of suggestions for folks just getting started. Apps Gone Free (free) – every day, this app suggests between eight and 20 paid apps that are being given away for a limited time. I’ve gotten some great photo/video and travel apps through this app. AP Stylebook ($24.99) – any journalist worth their salt has a copy of this on their desk. This app puts it all in your hands, with a search function and the ability to bookmark key items. Miriam Webster Dictionary (free) – I love this app. You can get quick definitions and pronunciations of words. SoundCloud (free) – this app allows you to record sound for stories and upload it to Twitter, Tumblr, Facebook and Foursquare. iTalk Recorder Premium ($1.99) – every good reporter needs a recorder for interviews. This is the one you want. You can do good, better and best sound quality. Once the recording is done, you can email it (if it’s not too big), upload it via Dropbox or download the desktop app that automatically transfers files. Camera+ (99 cents) – the built-in camera on the iPhone is crap. Spend the money to get this app, which includes a zoom, a grid, a stabilizer, a timer, the ability to take bursts of photos, quality adjustment, sharing on social networks and geotagging. Video+ (99 cents) – again, the video camera on the iPhone is crap. so spend the 99 cents for an app that offers more than a dozen special effects, contrast and other settings, and the ability to use the flash as a light for your video. Ustream (free) – use this app to live stream events. The video can also be automatically uploaded to a YouTube channel. Evernote (free) – this app allows you to take notes, capture photos, create to-do lists, record voice reminders–and makes these notes completely searchable. You can also access your notes via iPhone, iPad or desktop. Tomorrow I’ll offer my top 10 iPad picks. And I’d be happy to see what your iPhone/iPad app picks are! The Journalism.co.uk is among the websites that are on my must-read list. I’m a big fan of journalism tool lists, because they not only let me know if I’m keeping up, but they almost always teach this old dog some new tricks. They’ve done it again with this list. I looked at the list, and discovered I’m using 15 of the 22 tools with varying degrees of success. And below are another five you can add to your own toolbox. Camera+ — this iPhone camera app takes it to the next level, allowing you to zoom in and out, adjust picture quality, use a timer, add a stabilizer, save to your camera roll and instantly share on social media platforms. Video+ — This takes the video camera to the next level, allowing you to do cool stuff like add special effects and lighting. iPromptPro — turn your iPhone or iPad into an instant teleprompter with this app. AP Stylebook — yes, it’s pricey at $24.99, but it’s great to have this journalists bible right on your iPhone. Plus you can save things you look up regularly (like datelines for me). Hours Keeper — this is a great app for all my freelancers to keep track of projects, including time spent and invoicing. Regular readers know that I am a HUGE fan of my iPhone as a great tool to do my job as a journalist. But some of the same tools I love to do my work will also help make next week’s National Association of Black Journalists Annual Convention and Career Fair a better experience. So below, in no particular order, are 10 apps to make your convention experience even better. The Weather Channel: I love this app for giving me detailed hourly, daily, 36-hour and weekly forecasts in any city. Hoot Suite: with this free Twitter app, not only can I keep track of my six Twitter accounts, I can also create columns to follow the #NABJ12 and #NABJ hashtags, along with key people like @NABJprez2011. I also like the Hashtag app to follow particular tags in one place. AroundMe: this free app is an invaluable resource when you’re in a new city. It offers information on local conveniences including banks/ATMs, bars, hospitals, restaurants and supermarkets. Urbanspoon: New Orleans is a great city for food. Use this free app to find restaurants in the city, complete with menus, comments, directions and contact information. It also breaks down restaurants by cuisine and price.For my sushi lovers, I’m a big fan of iSushi. Ustream: this app allows me to shoot live video from my iPhone. I can also upload the video to my YouTube channel. Audioboo: I used this tool in Philly last year to do quick, 5-minute audio interviews. CamCard ($6.99): every year I collect a huge stack of business cards and only input a fraction of them on Microsoft Outlook. I hate paying for apps, but this one was worth the money. I can take a picture of a card and the information is automatically updated in my NABJ contacts group. Plus it’s environmentally friendly. ABMW President Troy Johnson also told me about CardFlick, a free app that allows you to share business card information. Taxi Magic: you need a cab, but you don’t want to hunt for phone numbers. Use this free online booking service to get a cab where you want, when you want.